The House resumes the 3rd Session of the 18th Legislative Assembly on Wednesday, February 7, 2018. During this sitting, we will debate the GNWT’s 2018/19 O&M budget. I created the printable calendar below so you’ll know how and when to watch the proceedings. 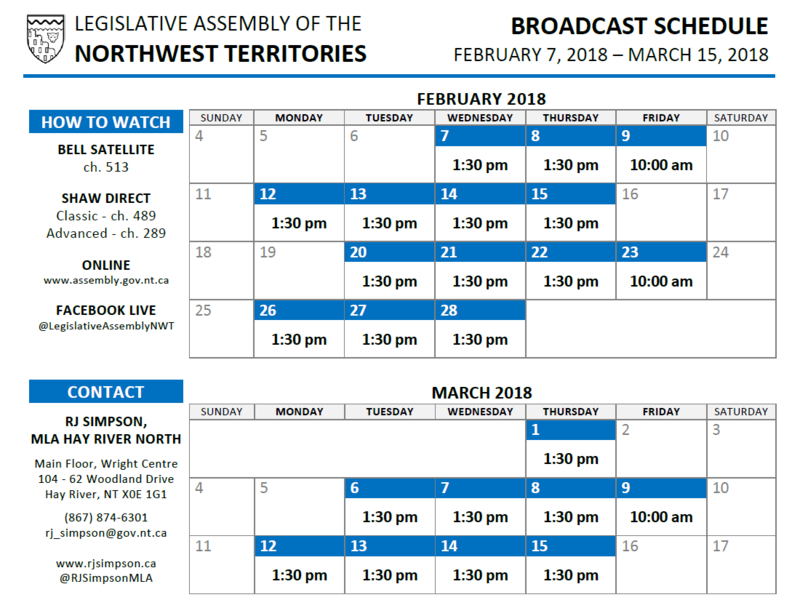 For more broadcast information, you can check out the Legislative Assembly’s broadcast page.